Data consumption and feature phones are two things that are not usually interconnected or associated with each other, but when it comes to Reliance’s JioPhone, an exception has to be made. According to a report, JioPhone users are not only consuming a high amount of mobile data, but are also willing to pay more for recharge plans that offer more data. 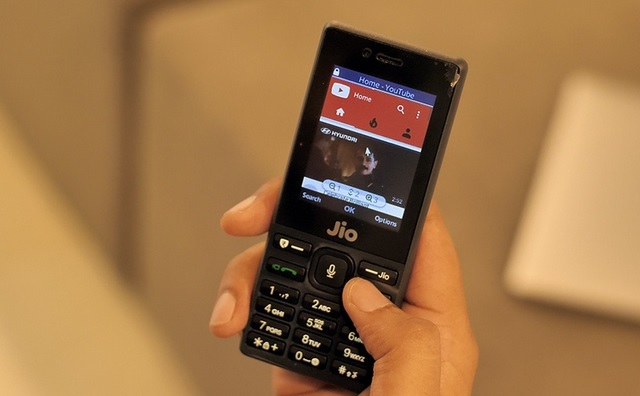 Anshuman Thakur, Head of Strategy and Planning at Reliance Jio Infocomm Ltd. has revealed that JioPhone users consume an average 7GB of data per month. But that’s not all, as JioPhone users are now willing to pay more for pricier data plans which offer more data. According to a report from the BloombergQuint, about 90% of JioPhone users now use the Rs. 153 plan which offers 1.5 GB of data per day with a validity of 30 days, while the remaining 10% go for the Rs. 40 monthly plan. The numbers are quite surprising as an average Jio subscriber consumes 10GB of data per month, a majority of which use smartphones that are known to gobble up data at a faster pace, thanks to a wider portfolio of data-hungry apps and services. Comparing that to a smart feature phone which is capable of running only the basic suite of connected apps such as WhatsApp, Facebook, and Google Maps, the 7GB figure is quite a lot, and hints at the inclination of the masses towards a more connected future. Reliance already has set a target of 100 million JioPhone users in India, and with the pace at which the device is selling, the target might be achieved sooner than later. The JioPhone was the top-selling feature phone in the Indian market in Q4 2017, capturing a market share of 27%. 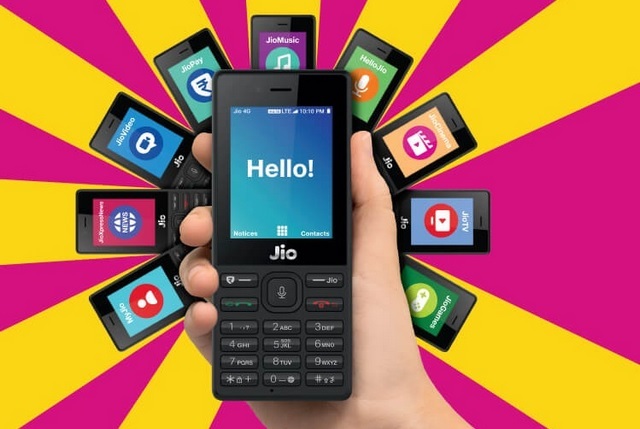 The JioPhone continued its hot streak and further increased its share in the country’s feature phone market to 35% at the end of 2018’s first quarter. With JioPhone sales increasing at a consistent pace and the introduction of the lucrative Jio Monsoon Dhamaka Offer as a catalyst, the number of JioPhone users is going to increase drastically, and so will the data consumption with the arrival of more smart features on the device.